Last May, we reported that Starz had picked up Da Vinci’s Demons—its Renaissance-era superhero show (basically)—for a third season, and now we know when that season will air: October 24. 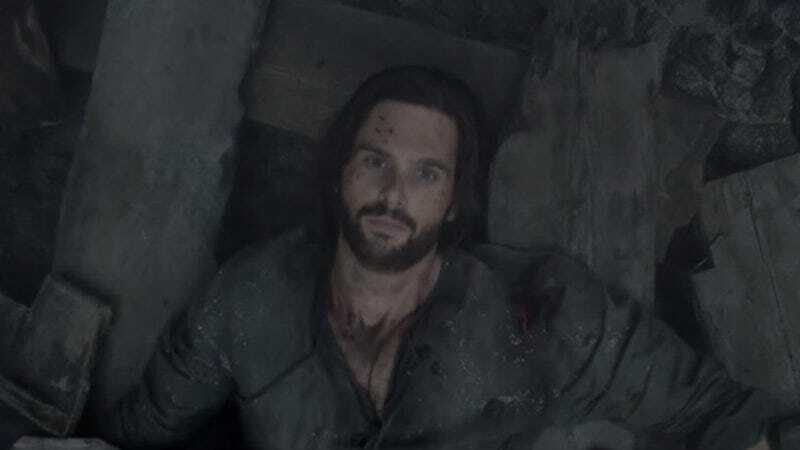 Starz also released a trailer for the upcoming episodes, which features a lot of dramatic sword fights, dudes in cool armor, Da Vinci’s inventions being used for nefarious purposes, an evil pope, and plenty of glimpses of the beautifully flowing locks of Tom Riley’s Leonardo. There is just one thing, though. In addition to putting out a trailer and revealing the season’s premiere date, Starz also announced that this will be the final season for Da Vinci’s Demons. We’re not sure what specific reason Starz has for killing the show, but considering that it’s getting word out about this being the end so far in advance of the actual premiere, the show will hopefully have a chance to come up with an actual, proper series finale. We’re crossing our fingers that it involves Da Vinci putting on a mask and becoming the superhero he was always meant to be.